Welcome to our Year 4 page. Have a scroll down to find our newsletters and to see what we have been up to as a year group and school! Exploring the Polar Regions in Year 4. This term we have been exploring the frozen lands of Antarctic as part of our cross curricular topic. As writers we have been studying a selection of different text types. We firstly wrote persuasive letters in character of Shackleton to advise our crew members not to go on a second deadly expedition. We have also created and written our very own adventure stories to predict what might go wrong if we were to return. Mariah and Jaylen in 4GS decided that their crew would get lost in the darkness in a severe blizzard and need to find Shelter. Mheiia in 4MS wrote about her team getting lost as they travelled too far into Antarctica as it was uncharted. 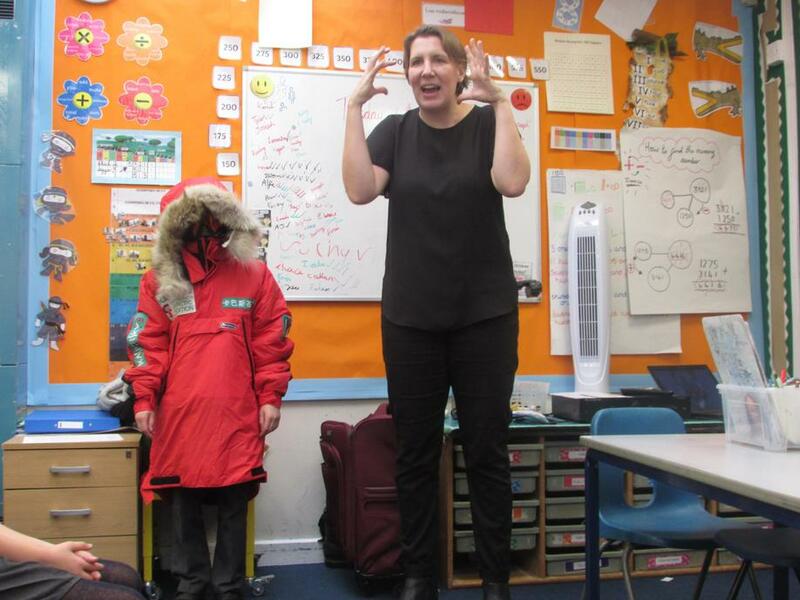 During this topic, we have also been designers and artists and have created many different things which would be useful for our Antarctic adventure for example we thought about what outfits we would need to wear to keep us warm whilst at the same time being fit for the purpose of exploring. Secondly, we also developed our skills of painting moving water focusing our attention on use of colour. We also really enjoyed, painting Antarctic scenes to provide inspiration for our writing this term. 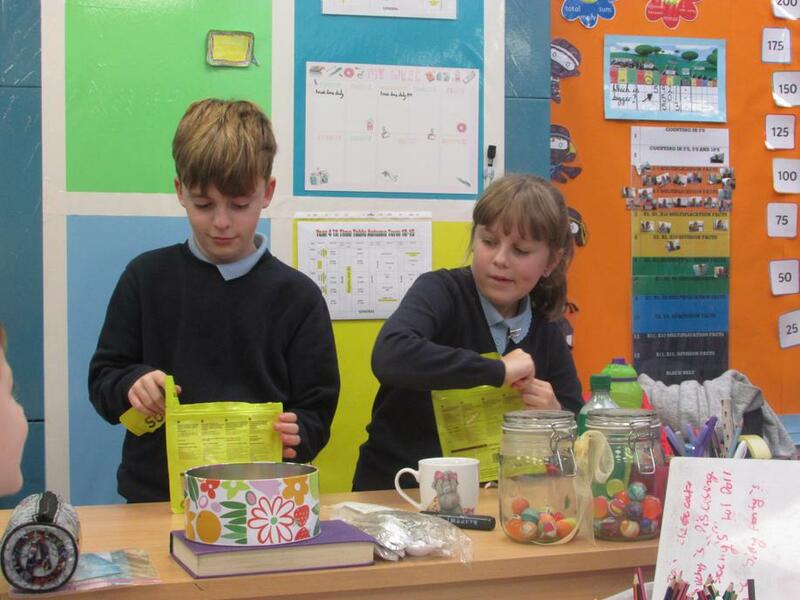 As part of our Geography topic, we have been learning about what it means to be self-sufficient and really enjoyed designing our very own research stations with limited resources. We were really lucky this term as we got to meet a real life explorer called Felicity Aston who actually lived on a real life research station. During her workshop visit she let us try some of her clothing on and as shown below the children realised just how warm these clothes were. We even got to sample some of the food she took with and some of our children got to prepare the apple crumble for the rest of the class. Lots of us had many questions we wanted to ask her about her multiple trips to the frozen lands and we loved looking at all of her photographs and showing her the research stations we had designed. 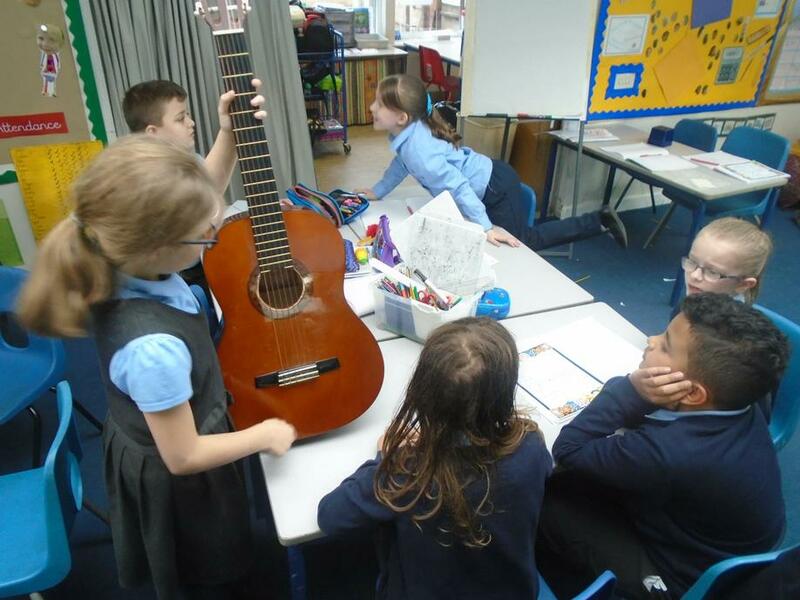 In music, Year four we have been working hard to learn the ‘Papa Loves Mambo’ song on the guitars and we now know the names of many strings. 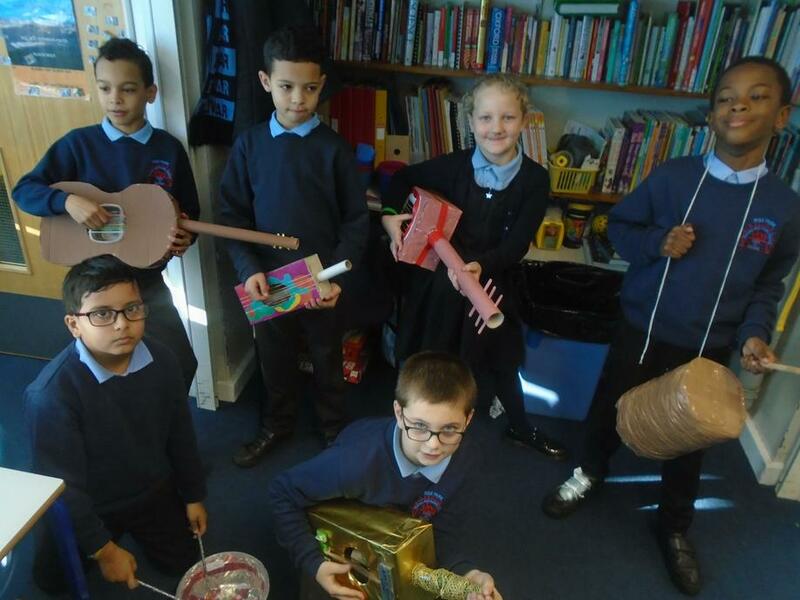 In addition, our homework project this term was to design a musical instrument out of readily available resources from home. In class, we had a go at making our on entertainment up and composed a short song in small groups just like Ernest Shackleton would have done when sailing on the Endurance. We then made a mini show and performed this to the rest of the class. We have been learning all about electricity and sound this term. During our lessons we have planned and carried out an investigation to see which material would disguise sound the most, imagined what life wold be like if we didn’t have ears and attempted to make complete circuits. Animal facts, puzzles and games! Following our Science topic on Habitats, learn about animals from around the world, build an online habitat or create a new animal species. Incredibox! A simple little website where your child can drag-and-drop some audio treats on to a series of little men to create a repeating pattern through song. C'est magnifique! Music AND Image Patterns Use an electronic synthesizer online to create some very strange musical creatures. Experiment with different patterns and sounds to make a fantastic petri dish of joy! Create A Repeating Pattern A simple-to-use website that will allow your child to create a very effective repeating pattern online. This can be printed out if you join the site. Ancient Egypt @ The British Museum A fantastic website about Ancient Egypt from the British Museum in London. Lots of interesting facts linked to our summer history topic. Staying Safe Online Follow this link to watch the video's of Kara, Winston and the SMART crew and remind yourselves about staying safe when online or on your mobile phone. Celldric's House Visit Celldric and Eddison at home, and learn about electricity to help with our Circuits & Conductors topic! Horrible Tudor Facts Some gruesome Tudor facts written by the Horrible Histories team!